Whenever the topic of writing for no or very little money comes up in conversation with a travel writer, the first thing I always do is ask why they want to do that. I hear a startling number of people, even those who have already been writing for no compensation on their own websites for years, tell me that they don’t think that they are in a position to get paid more. They aren’t saying that those rates aren’t out there–but rather that they don’t personally deserve them. Or, that they would be so delighted to have a clip from X brand or Y publication that it is absolutely worth it for them to do it even if they aren’t getting paid. They are also like to spend twenty hours on this uncompensated piece of writing (not including travel). But let’s go back and focus for a minute on why people are doing this. The first, and most common, reason, is because they do not think they are “good enough” to receive an assignment for a better-paying publication. Good enough, in this case, means that they don’t think they have the skills to put together an article as an editor would want it. The big problem here though, is that if your writing chops aren’t there in terms of creating the article’s structure, and you’re writing for a low- or no-paying market, in which the editor doesn’t really spend much time in your piece, you’re going to end up with a clip that reflects exactly where you are. Work on your journalism skills on your own so you can create better pieces. Polish your pitches so you can get into publications with editors who will can you the ropes. As you’ll see later in this post, no amount of writing for low- or no-paying outlets is never going to give you enough experience for you or an editor to be confident in these skills. The only way to know gain the knowledge you need is to study best practices. On the other hand, I frequently hear from people that they have spent a lot of time pitching a story they’re really excited about and aren’t getting any traction, so they’re placing it somewhere that doesn’t pay or doesn’t pay much to ensure it will get published. If you’ve only pitched the story once or twice–especially if you didn’t follow up–it might be an issue of pitching to more, or better-matched outlets. your pitch sounds like it’s from a PR person because you talk only ABOUT something without demonstrating to the editor HOW the piece will cover the topic and WHY the magazine’s readers need to know about it. (1) Writing for websites that won’t give you a contract, only accept pieces on spec, and will publish lots of pieces without paying for them ensures that you are not writing in a setting where an editor has an incredibly clear idea of what he or she (or the website’s ideal reader) is looking for, so you won’t receive the kind of edits and feedback that make you a better writer. That means that there is a very real cost to writing for these sites. You are patterning (by the positive reinforcement of being published/accepted) a style and quality of writing that won’t fly in the publications you’d like to write for down the line. To write for better publications, you’ll have to painfully unlearn these habits–and perhaps burn bridges with better editors who don’t understand why you aren’t following their guidelines! This is the biggest reason I prefer people go for the type of articles and magazines they want to write for right away, so they learn to write for those publications when you are building your skills. (2) Editors from the publications you want to write for don’t care about these clips (because they don’t have time to have heard of any of these publications), and would honestly typically have a lower estimation of your writing if they saw them. So, after writing for low- or non-paying outlets for a while, you might feel like you’ve spent years paying your dues and are now “ready” to pitch big publications. However…as far as those editors are concerned, you have had zero publishing experience relevant to what they are looking for. Particularly for travel writers, there is a nearly unlimited source (though you really just need one for the clip, and then you should go back to focusing on paying work!) of places to get published in a book: ABC-CLIO. ABC-CLIO publishes dozens of fascinating encyclopedias and guides each year focusing on cultures around the world, as well as cultural history. The volumes are project managed and edited by academics, who tend to work for small stipends, and they are always hard-up to get enough people to fill all of the entries they need in their books! You can often pick up just one entry in a title for a small amount, a free copy of the encyclopedia, or store credit, but it’s better to pick up as multiple entries in one book, because then you get the format and relationship with the editor down, and it is easy to write more, and then you get better compensation. Then, in your “about me” paragraph in your pitch, you can say that you are a published author. This comprehensive 2-volume encyclopedia examines life and culture in North, Central, and South America and the Caribbean. Dr. Kim Morse is seeking contributors to write country profiles on Brazil, Nicaragua, Panama, and Uruguay. If you are interested in writing any of these profiles, please email Dr. Morse at Kim.morse@washburn.edu for more specific information. Total length of the country profile: 13,000-15,000 words. Contact Dr. Kim Morse if you are interested in writing on Brazil, Nicaragua, Panama, or Uruguay at Kim.morse@washburn.edu. 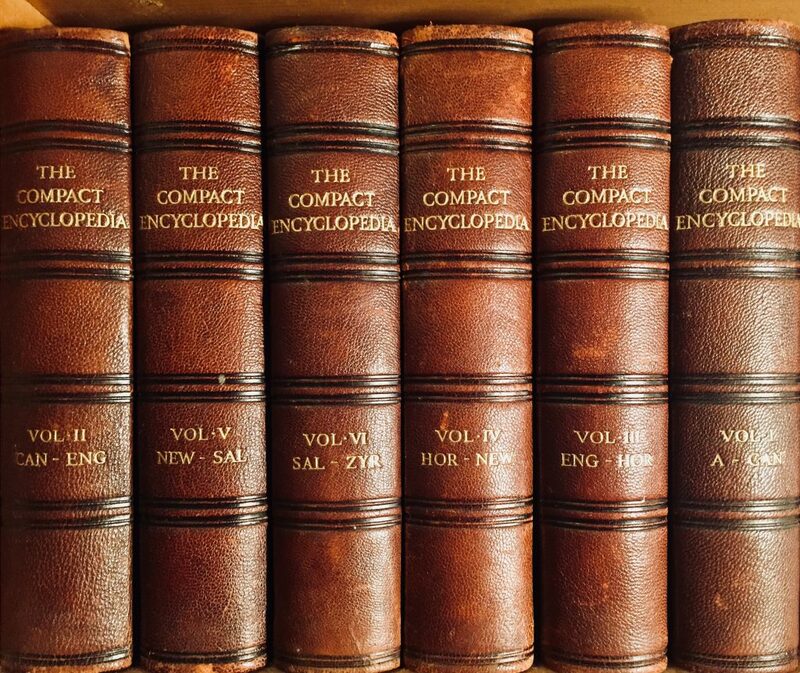 Prefer to author a smaller encyclopedia? Here are some great opportunities! Endangered Traditions, 1 volume: Think Mongolian camel coaxing ritual, traditional Kayas communities in the sacred forests of Mijikenda, and Maori facial tattooing. This book explores fascinating traditions from around the world that are in danger of disappearing, as well as the efforts of people and organizations, like UNESCO’s Intangible Cultural Heritage Fund, to safeguard these traditions. Political Geography: Conflict and Cooperation around the World, 1 volume. North Korea, Turkey, Syria, oh my! There are so many examples and too little time. This book looks at why a country’s physical and human geography affects international relations. Arranged regionally, the book’s sections examine the effects of topography, natural resources, political systems, economics, and culture on conflict and cooperation. Examples of specific countries bring the theoretical to life. Where It’s Made: The Global Origins of 50 of Your Favorite Things, 1 volume. Did you ever wonder where that t-shirt you threw on this morning came from? Or how many people helped to create that cup of coffee you’re drinking? Chances are, that cotton t-shirt and that 6-ounce coffee is more well-traveled than you are. Baseball around the World: An International Guide to America’s Favorite Pastime, 1 volume. Explore the sport of baseball in approximately 20 nations around the world, including history, fan culture, iconic teams, and legendary players. State Oddities: An Encyclopedia of What Makes Our United States Unique, 1 volume. Did you know that Connecticuters refer to their sub sandwiches as “grinders?” This fun encyclopedia looks each state’s strange history, urban legends, unique foods, wacky words and sayings, odd laws, and weird destinations. Vanishing Geographies: A Cultural Encyclopedia of Lost Cities and Civilizations, 1 volume. Whatever happened to the peoples of Easter Island? What is Pompeii like now? This encyclopedia examines cities and civilizations that have disappeared and the societies that made them once flourish. Is writing a volume in a series more your style? Write one of these! Volumes in the new Global Kitchen food series, including Brazil, China, Ethiopia, France, Germany, Great Britain, Greece, Italy, Mexico, Nigeria, Spain, and Vietnam. Volumes on Iran, Kenya, Nigeria, Pakistan, South Korea, and Venezuela in the Understanding Modern Nations series, which recently received a Booklist Starred Review. Volumes in the Women and Society around the World series, including Women and Politics. Volumes in the Global Viewpoints series, including Gender and Sexuality, Law and Politics, Business and Economics, and Health and Medicine. Volumes in the Global Cities series, including volumes on London, New York, Paris, Rome, Athens, Mumbai, and Cairo. Volumes in the Understanding Our World series, including Human Geography and Physical Geography. We are also seeking CONTRIBUTORS for the following projects! Teen Lives around the World: A Global Encyclopedia: This 2-volume set examines how teenagers live in approximately 60 countries around the world, covering topics such as schooling and education, rights and legal status, and family and social life. If you are interested in writing about a particular country or countries, please contact Dr. Karen Wells at k.wells@bbk.ac.uk. Nationalism Today: Revisionist, Separatist, and Extremist Movements around the World: Dr. Troy Burnett is seeking contributors to profile nationalist movements in Pakistan, Syria, Israel, Iran, Iraq, Yemen, Morocco, Sudan/South Sudan, Mali, Bolivia, Chile, Brazil, France, Netherlands, Romania, New Zealand, and Australia for his new book . If you have expertise and interest, please contact him with your CV at mburnett@mtroyal.ca for more information. The Encyclopedia of Hate: A Global Study of Social Enmity co-editors Dr. John Shuford and Dr. Rebecca Barrett-Fox seek subject/topic entries in these areas: understanding what hate is, how hate arises and manifests, experiences of hatred in context, and how to address hate appropriately and effectively. The Encyclopedia will be an interdisciplinary resource with international scope. Contributions are sought from researchers/scholars (the humanities, social sciences, natural sciences, and professional fields), educators, policymakers, practitioners, and field experts. Please contact hsc@hatestudies.org to discuss project needs and sample subjects/topics. Please also submit a resume or short CV of no more than 2 pages which highlights your relevant interests and qualifications. Natural Hazards: From Avalanches and Climate Change to Water Spouts and Wildfires: Dr. Bimal Paul is seeking contributors to write entries for this 2 volume book. Please contact him with your CV at bkp@ksu.edu for more information. Sustainable Planet: Compelling Issues and Solutions for Our Environment’s Future: This 2-volume resource provides comprehensive coverage on the world’s most pressing environmental issues. If you are interested in writing about a particular issue, please send your CV to Barbara McNicol at bmcnicol@mtroyal.ca. Europe: An Encyclopedia of Culture and Society: This comprehensive 2-volume encyclopedia examines life and culture in countries throughout Europe. Dr. Thomas Wilson is seeking contributors to write the entries on Andorra, Luxembourg, Montenegro, Netherlands, Norway, Romania, Russia, Serbia, and Switzerland. If you are interested in contributing, please email Dr. Wilson at twilson@binghamton.edu for more specific information. The Americas: An Encyclopedia of Culture and Society: This comprehensive 2-volume encyclopedia examines life and culture in North, Central, and South America and the Caribbean. Dr. Kim Morse is seeking contributors to write the entries on Brazil, Nicaragua, and Urugay. If you are interested in contributing, please email Dr. Morse at Kim.morse@washburn.edu for more specific information. Please note: We are not the direct contact for these opportunities nor able to answer any questions regarding this information. It is derived from emails to previous ABC-CLIO contributors, and we make no claims regarding the availability of any of these opportunities at the time that you read this post or reach out to the editors listed. This post is intended as an introduction to a new type of opportunity for prestige credits that writers may not previously have been aware of.